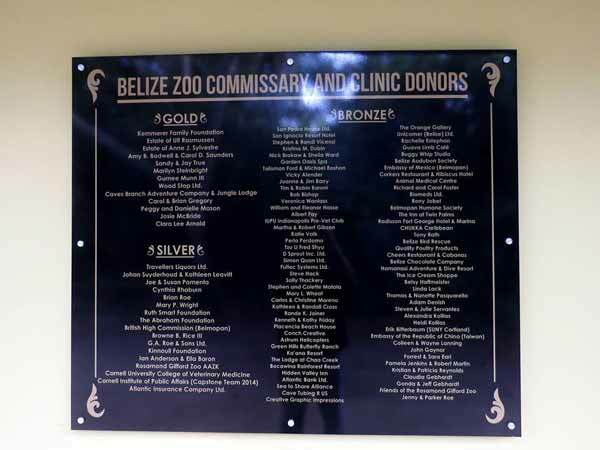 Congratulations are in order for the Belize Zoo. The Commissary and Veterinary Clinic have launched. "It's official! 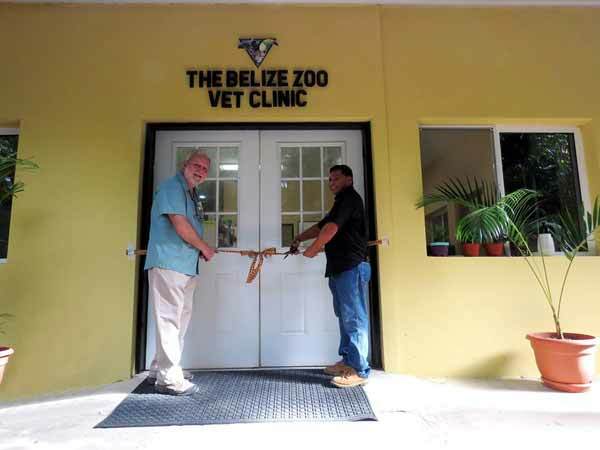 After several years of intensive fundraising and dedicated assistance from a dynamic network of supporters, our Commissary and Veterinary Clinic facility is operational! TBZ marked this incredible milestone with a small but special ceremony in the company of colleagues and friends. And what perfect timing! Colleagues from Cornell University College of Veterinary Medicine were also present for the memorable occasion. 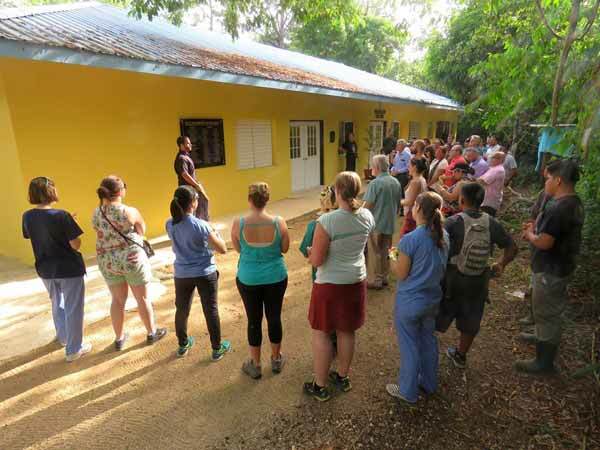 Since 2012, the Cornell team has made bi-annual journeys to Belize to collaborate with our staff in providing superb clinical care to our "wild residents." We were thrilled to be able to highlight this wonderful partnership by honouring the driving force behind it: Dr. George Kollias Jr. It was a high energy event as our Animal Management team proudly toured guests around the fabulous facility. Two congratulatory letters to commemorate the occasion added special significance to the day. One from Minister of State in Agriculture, Fisheries, Forestry, Environment, and Sustainable Development, Dr. Omar Figueroa. The other was from Dr. Lee Durrell, Honorary Director of the Durrell Wildlife Conservation Trust. Both esteemed conservationists have been part of TBZ's evolution over several decades, and expressed their delight and support for this latest historic achievement. TBZ is now poised to provide exemplary nutrition and veterinary services for our wildlife, as well as vital training and capacity building for both our zookeeping staff, and local and international wildlife care partners. A huge and heartfelt PAWS UP to the many supporters that have been part of this awesome accomplishment, particularly our donors!" Last edited by Marty; 07/04/18 06:55 AM.